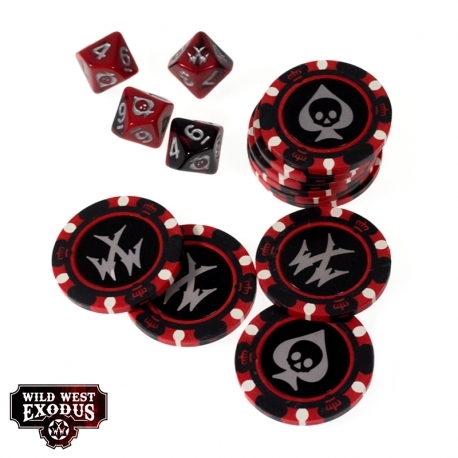 Fight the battles of Wild West Exodus with these superb dice and Fortune chips. 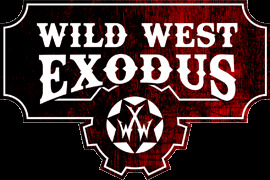 This set includes four special ten-sided dice for use with Wild West Exodus. Each die features their Critical Success and Critical Failure values with easily recognisable symbols. The stack of ten Fortune chips will let you easily keep track during your games as you tempt fate and push your luck by bending your Fortune to your will.